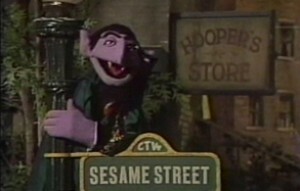 The Count hangs out on Sesame Street. The sixth season of Sesame Street debuted on November 4, 1974, with the ominously numbered episode 666 (which is available to watch on the Sesame Street: Old School Volume 2 DVD set). Despite that, as should surprise no one, nothing actually disastrous occurs, however I do wonder whether the hour’s framing device of the Count perching on the famous Sesame Street lamppost and counting all of the lights on Sesame Street going on in the early evening and off later at night was meant to be a sly little nod to it, due to the Count’s vampiric origins. 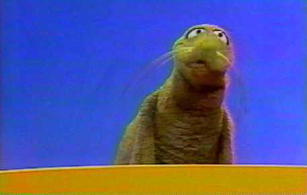 Today I looked at two unrelated yet fascinating curiosities, the first of which is the first thing I’ve watched for the site that actually wasn’t created or run by Jim Henson at all but which is significant due to its performer, and the second of which features the debut of one of the most important characters in the entire Muppet canon. 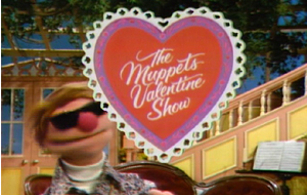 In 1973, Jim Henson decided to once again pitch a TV variety show starring the Muppets, which had been a goal of his since all the way back in the immediately-post-Sam-and-Friends era but which had always failed to come to fruition due to American network executives not being able to get over their bias that puppets were for children, despite all the evidence as to how much adult audiences enjoyed the Muppets when they made appearances on other peoples’ shows and even on Sesame Street. Kermit and Jim visit Johnny. 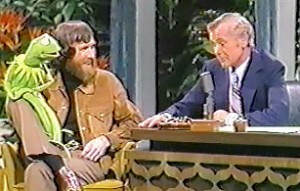 On January 23, 1974, Jim Henson and Kermit made an appearance on The Tonight Show with Johnny Carson, in order to plug The Muppets Valentine Show, the first Muppet Show pilot, which ABC aired as a special a week later on January 30th. More on that in another post, and how this pilot came to be, coming later today. Julie Andrews and Perry Como visit Sesame Street. 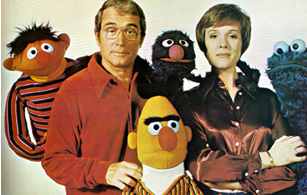 While one might expect an hour of TV starring Julie Andrews called Julie on Sesame Street to be either a PBS production or a special episode of Sesame Street, this actually isn’t the case. It was actually a nighttime network special, one of a series of specials starring Julie produced shortly after ABC canceled her critically acclaimed variety show, The Julie Andrews Hour, due to low ratings, which were largely the result of it having been up against Mary Tyler Moore.